The stable version of Mozilla Firefox 4.0 is coming real soon. For those of you who can't wait, the first RC (Release Candidate) version of Firefox 4 is now available for download. 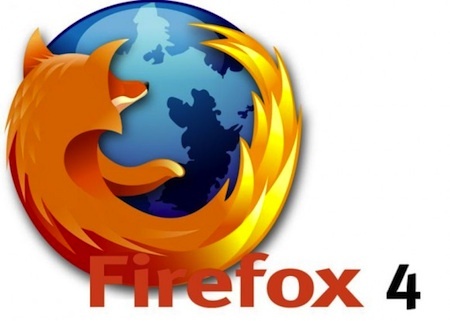 Linux users can download Firefox 4.0 RC1 directly from HERE. If using Windows, you may get it fromHERE, and if you are a Mac user, download it from HERE. For a more comprehensive list of Firefox 4 features, you may go HERE. Are you excited about Firefox 4? Or, have you already switched to Google Chrome and would never look back?